I absolutely love having fresh herbs to cook with. Typically, I grown them in large containers outside and on the porch. It’s nice though to have a some smaller plants in the kitchen, the ones that get used a lot like basil, oregano and parsley to name a few. Do you have a Mother’s Day gift picked out? Does you mom love to cook? 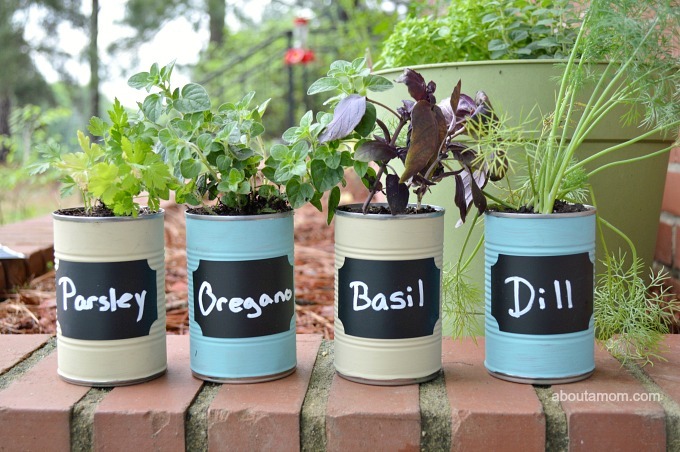 I think this DIY kitchen herb garden is a great Mother’s Day gift idea. After spending a small fortune on large planting containers a couple of weeks ago, I knew I wanted to something more economical for this kitchen herb garden. My Mom had the brilliant idea of painting some soup cans. I love her for that! It’s great when you can upcycle something and it turns out incredibly cute. 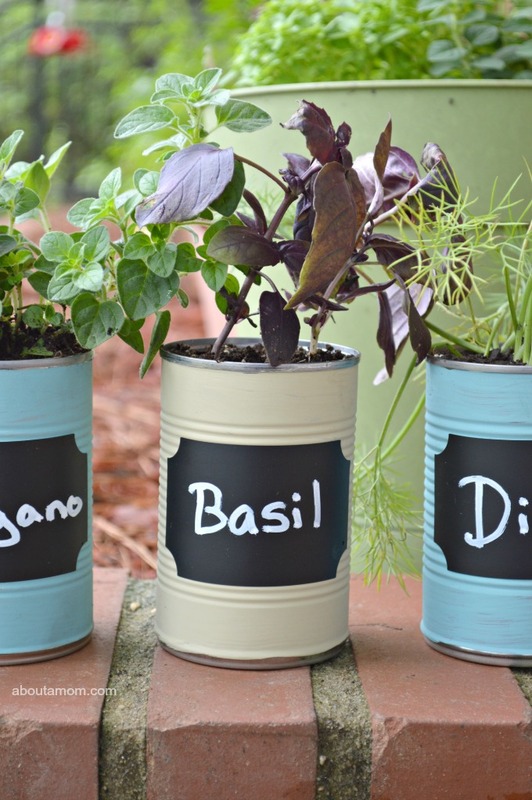 First, wash and dry your empty tin cans, and paint them. My mom painted our cans with Anne Sloan Chalk Paints in the colors Versailles and Provence. 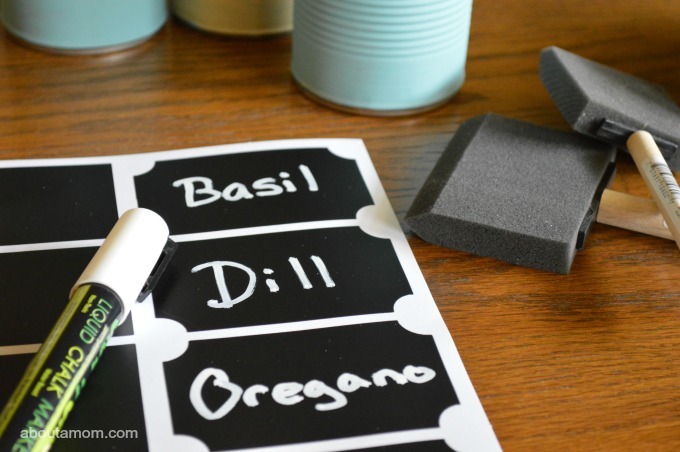 Any chalky or acrylic craft paint will work. 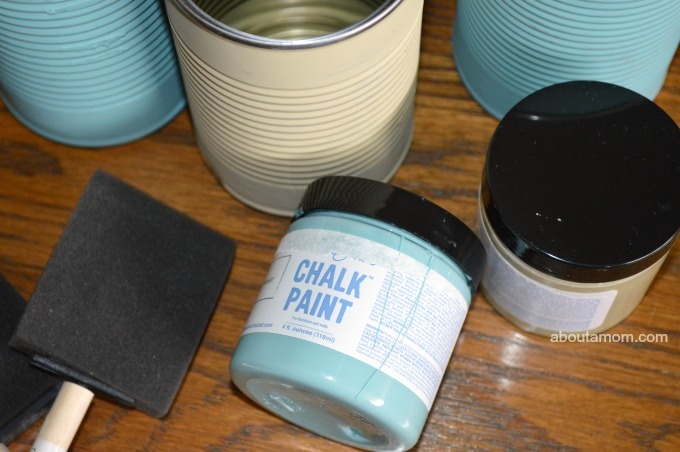 I personally love the chalk paints, because they go on so smooth and creamy and you usually only need one coat. Foam brushes are perfect for painting your cans. Let the cans dry completely.